I love the colors, the weather, the crisp air, and, of course, the food. But fall hasn’t always been a time of optimal health for me. I used to suffer from seasonal allergies, which meant taking Claritin or Zyrtec, and I couldn’t make it through the fall and winter without dealing with multiple bouts of congestion, post nasal drip, sore throats, and bronchitis. I always had a steady supply of Mucinex, Throat Coat, and Advair inhaler discs. For a third of my life, I also dealt with acid reflux, which meant popping pills at Thanksgiving and Christmastime, in particular, because of all of the rich food I would overeat and then pay for later. Because I know what it’s like to feel sick and not at my best, I’m passionate about sharing what I’ve learned and experienced as my health has been transformed over the past five years. I no longer take any medications, can get through the whole winter with NO congestion, and don’t deal with post nasal drip, allergies, reflux, or bronchitis. If you had told me five years ago that that was possible, I would have been skeptical and cynical, but because I now live that reality, I know that it’s true and possible. Changing my diet has been at the root of why my body has begun healing and continues to heal. For centuries, food has been used to prevent illness, relieve symptoms, and even cure disease. I’m now in a position of optimizing my health, so that I can continue to feel energized, have glowing skin, and build a strong immune system. I will be teaching a two-part cooking class series about Healing Foods at the Institute for Integrative Health in Baltimore on Thursday, October 6th and 13th from 6:00-8:00 pm, and I would love for you to join me LIVE! We’ll explore the power of food and discover how it can be used to prevent and alleviate inflammation, strengthen our immune system, and enhance our energy and vitality. Through recipe demonstrations as well as nutrition and cooking tips, I will show you how to eat for optimal well-being. Everything will be dairy-free and gluten-free, and you will find out why during the class. University of Maryland nutrition researcher Chris D’Adamo, PhD, will be joining me for both classes to offer commentary and answer your questions. He’s a wealth of knowledge and it’s an honor to partner with him again. Want to join us? Click the button below. Baltimore is home to some of the world’s thought leaders in health and medicine. One local organization at the forefront of innovation in healthcare and holistic health is the Institute for Integrative Health. The Institute’s mission is to create a wellness and medical model to shift society’s focus from managing disease to promoting health. Their approach aligns with mine, as I strive to offer hope that we can be well and feel better, that health and vitality can become the new normal. It’s been a privilege to serve as one of their health educators and instructors over the past year or so. Aside from being an internationally recognized leader in the field of preventive cardiology, Dr. Miller has written the best-selling book, Heal Your Heart, which is the top-rated book on heart disease on Amazon out of over 1,000 books. Included in the book are Dr. Miller’s Positive Emotions Prescription, over 100 recipes (that I can’t wait to try! ), and practical tips to heal your heart and optimize your health and wellbeing. All proceeds from the book go to the American Heart Association. During his talk, which served as a preview for a four-week coaching series he and his wife will be teaching in the fall, Dr. Miller pointed out the main risk factors for heart disease and what we can do to heal our heart and reduce the likelihood of succumbing to a disease that affects millions of Americans each year. Most of us are aware of the main risk factors for heart disease and heart attack – smoking, high cholesterol, high blood pressure, and diabetes. Dr. Miller touched on those but spent the bulk of his time focusing on the impact of two lifestyle factors – stress and what we eat. Our bodies were designed to respond to acute stressors (like being chased by a tiger), but most of us are in a state of constant stress these days – one that never seems to shut off. If I had to identify one aspect of my health that I want to transform, it would be how I handle stressful situations in my life and making more time for rest, play and relaxation. One of the comments Dr. Miller made that stuck with me was that chronic stress is the same as cellular aging; stress advances the aging process. Even if we’re eating healthy food, exercising regularly and not smoking, this one factor – stress – can undo a lot of the helpful things we’re doing. That’s how powerful stress is. Dr. Miller shared the story of a former cardiologist colleague of his who passed away from a heart attack in his mid-50s. The stress that accompanied a new, more demanding job on the other side of the world was too much for his heart to handle and ultimately took his life decades too soon. Meditate. Try the Headspace or Calm apps on your phone. They are great guides! Practice yoga. My favorite YouTube channel for yoga is Yoga with Adriene. Dr. Miller shared some fascinating research about the blood vessel constriction that happened to a group of participants who watched the harrowing, stress-inducing opening scene of Saving Private Ryan. He compared it to the blood vessel dilation that happened when they watched comedies that made them laugh like Shallow Hal, Kingpin and There’s Something About Mary. After just 15 minutes of laughing, volunteers experienced the same vascular benefit they’d experience from spending 15 to 30 minutes in the gym or from taking a daily statin medication to lower their cholesterol. Not only that, but the blood vessel expansion lasted for up to 24 hours! Get a good laugh in in the morning, and the positive benefits could last the entire day. We all agree there are still plenty of benefits to exercising, so keep up your daily movement routine, but don’t downplay the importance of a good laugh. In his book, Dr. Miller lists the top 50 foods that affect heart health and mood. To add an interactive component to the presentation, his wife, Dr. Lisa Miller, made a delicious raw blueberry cashew gelato topped with mashed peaches and a sesame cookie. Add 1/2 tsp CINNAMON to your coffee each day. Cinnamon has been shown to lower triglyceride levels (that’s the fat in your blood). and inhibits a protein connect to Alzheimer’s and Parkinson’s disease. Add GINGER to smoothies, use it to make your own tea, and try these delicious ginger energy bites. It reduces plaque buildup and improves mental performance. It also promotes healthy digestion and settles nausea! Enjoy all of the delicious PEACHES that are in season. Peaches are high in antioxidants and other heart-healthy minerals. Mash them up in a mason jar, stir in some cinnamon, ginger and vanilla and add them to overnight oats or use them as a topping on ice cream, as we did that night. Enhance flavor (and your libido!) with VANILLA. It has been show to reduce inflammation and has high antioxidant activity. To avoid the alcohol content and bitterness of most liquid vanilla extracts, opt for the powdered version from Nielsen-Massey. We add it to smoothies, ice creams, and most of my energy bites! CASHEWS served as the base of the ice cream we made. If you don’t eat dairy (all recipe on this blog are dairy-free! ), cashews add a creamy consistency to everything from cheesecakes and smoothies to soups, cheese sauces and dips. They are high in antioxidants and lower the risk or macular degeneration. In addition to being packed with antioxidant and blood sugar regulating components, BLUEBERRIES inhibit cortisol – the major stress hormone that runs rampant under chronic stress and adds weight to our bellies. Dr. Miller has a large handful of blueberries every day and swears by their eye health-promoting properties! MACA powder is derived from a Peruvian radish and has a malt-like taste that I absolutely love. I toss it into smoothies and my chocolate bark and find it pairs especially well with chocolate. It’s known for being a hormone-balancing food and has high antioxidant and blood pressure, cholesterol and glucose-lowering properties. This is the kind of maca powder I order on Amazon. SESAME SEEDS help regulate blood sugar and contain cholesterol-lowering compounds that protect our heart. Enjoy the seeds themselves and try tahini, a paste made from sesame seeds that we use to make salad dressings super creamy! You can find it in the international aisle of the grocery store. Trader Joe’s just started carrying it, too. Dr. Lisa Miller’s raw cashew blueberry gelato combined several of those delicious ingredients, and I will share the recipe for it (and her sesame tahini cookies!) in my next post. Buy Dr. Miller’s book, Heal Your Heart, on Amazon by clicking here. If you want to be part of Dr. Millers’ Positivity Challenge Coaching Program in the fall, click here to learn more and register. Leading up to the Millers’ challenge, I will be teaching a two-part cooking class series about healing foods that you won’t want to miss! Click here to learn more and register. I was born and raised here. I went to school here. I made my first friends here. I had my first informal cooking lessons with our neighbor Miss Muriel across the street from the house where I grew up. I remember going on school field trips to the Walter’s Art Gallery, the National Aquarium, the Baltimore Zoo, and Fort McHenry. Some of my favorite summertime memories center around O’s games at Memorial Stadium and Camden Yards with my family, walking to the local snowball stand, and spending hours splashing around at Swan Lake Swim Club in Northeast Baltimore. I realize this positive perception of my hometown isn’t shared by everyone. In the midst of the negative media attention our city often receives, I have a message of hope to offer. Positive things are happening here, too. They may not be getting the same press attention, but they are worth talking about. They need to be talked about. One of the vendors, Great Kids Farm, puts produce in city school salad bars and sends kids on field trips to the farm to learn about farming and gardening and to taste fresh food. I met Ryan Brant, who started his own non-profit, Positive Strides, after his personal journey as an injured athlete, including four knee surgeries and a back surgery, all before the age of 25. His noble mission is “to provide guidance and financial assistance to athletes who have suffered catastrophic or life changing sports-related injuries.” Positive Strides focuses on nutrition, too, because they know that what we eat impacts injury prevention and recovery as well. Chef Egg, a fellow culinary educator and presenter, used the fresh produce to teach everyone how to make a minestrone soup, apple salad, and fruit smoothies. We both agree on the importance of at least trying food before dismissing it, something I appreciate as a formerly picky eater turned foodie, and to avoid making comments about food we don’t like that others do like. I met Joyce, who arrived at 7:00 that morning with her daughter and sister to help people in line who were wheelchair bound, so they could be moved to the front of the line. She told me how she and her husband volunteered at a similar event a few years ago on their anniversary from 4:00 in the morning until 6:00 in the evening. She told me how a local rec football team was on its way to the Crop Circle to volunteer as a team before heading to their football game that afternoon. She told me about the coat drive her church was organizing for a local school. Congressman Elijah Cummings took the stand to share his thoughts, journey, and message of hope. He advocated for figuring out how to get more grocery stores that sell healthy food at reasonable prices into the city. And so I decided that I was going to change my eating habits. I cut out sugar. I cut out all the buns that I used to get. I used to go in there to Dunkin Donuts and get three donuts. ‘C’mon don’t act like ya’ll don’t know what I’m talking about.’ And then, to top it all off, I got a Diet Pepsi! …But then what I decided to do is I wanted to lose this weight. But, I did not come here to ask you to do this. I have come here to beg you. We have to address what we eat, and we must eat to live, not live to eat. And that’s so important because in our communities, we have higher rates of heart disease, sugar diabetes, cancer. As a matter of fact, one of the things Johns Hopkins discovered is that, for those who live in food deserts, life expectancy is something like 20 years less, which means people are dying before their time and they’re suffering needlessly. So, my only wish for you at this Thanksgiving is when you sit down to eat, remember, we are eating to live. I wish you and your family a Happy Thanksgiving, filled with gratitude, joy, laughter, and delicious, nourishing food. I’m grateful for your support for the work that I do and look forward to seeing what 2016 has in store! Join Me for Yummy Snacks for Healthy, Happy Kids on September 16th! As a kid, I wasn’t the most adventurous eater. I stuck to what was familiar and didn’t venture much beyond that. I’ve always liked fruit and even liked quite a few less than popular veggies (including broccoli and Brussels sprouts…only if they were doused in Kraft parmesan cheese!). But I also loved unhealthy snacks just as much as the next kid! From Doritos and Cheetos to Dunkaroos, Gushers, Swiss Rolls, and Swedish Fish, I was in the same boat as just about any other kid my age growing up. That’s why I’m SUPER excited to teach a workshop next Wednesday, September 16th at the Institute for Integrative Health about Yummy Snacks for Healthy, Happy Kids. 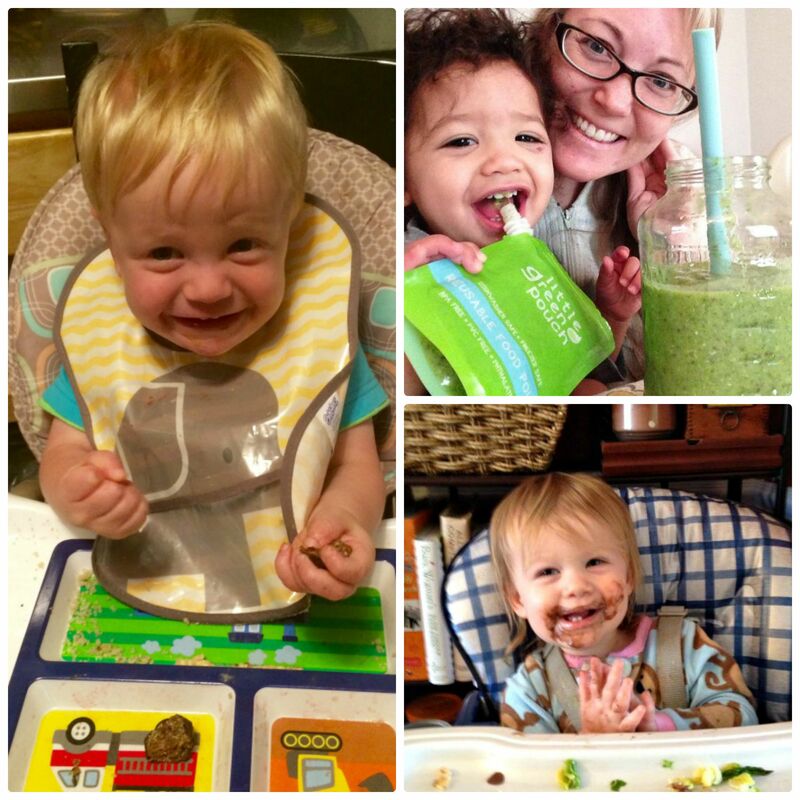 You’ll come away feeling energized and excited about trying new recipes with your whole family. Plus, you’ll connect with a new community of health-conscious parents, teachers, and other people who take care of children. The workshop runs from 6:00-8:00pm and is $30 to attend, which includes everything outlined above. Click here to learn more and register. Please forward this post to anyone you think would be interested in attending this workshop, especially anyone whose kids are dairy-free or gluten-free!